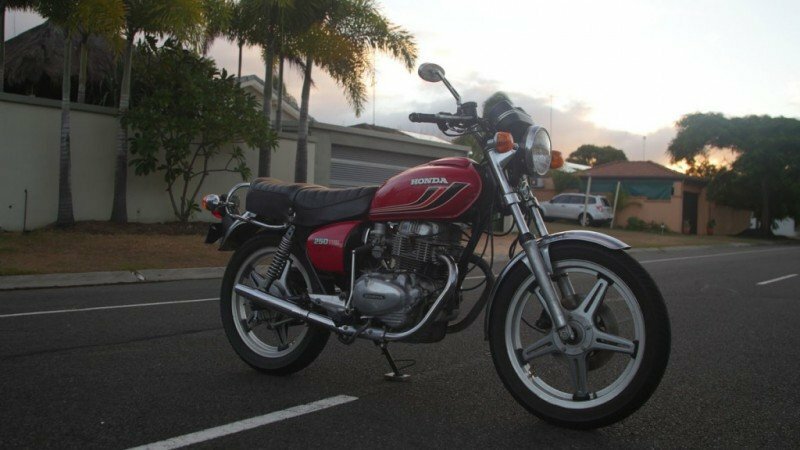 The Honda CB250T was purchased as an all original bike and we intend to keep it that way, With some Mild restoration work you'll see this bike burning around the Gold Coast with its lady owner . 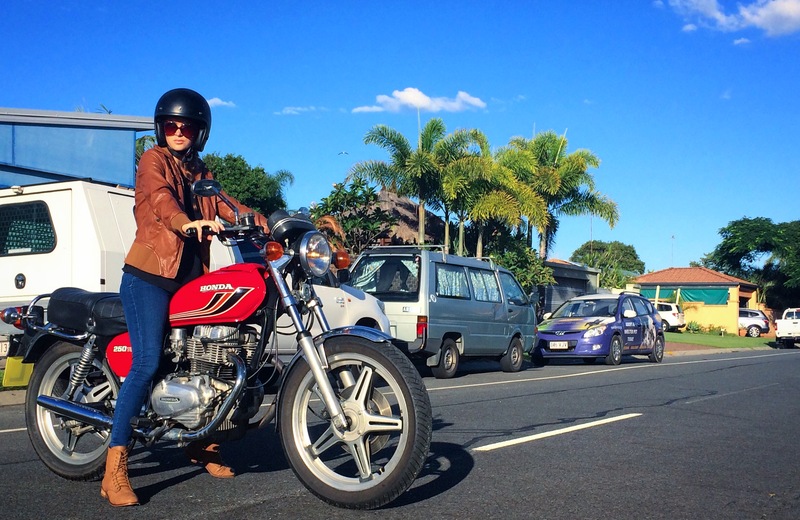 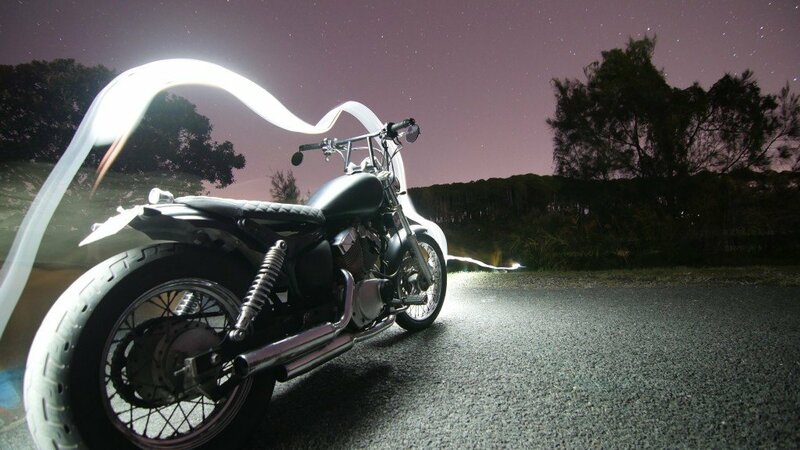 Dylans's Yamaha XV250 has seen a lot of road but hadn't seen a lot of love until he bought it into the garage. 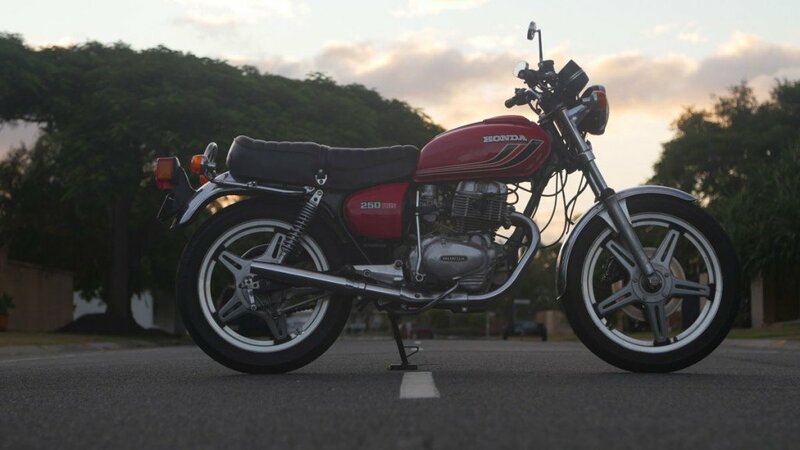 Originally from Perth the bike was ridden to Queensland and given to the owner. 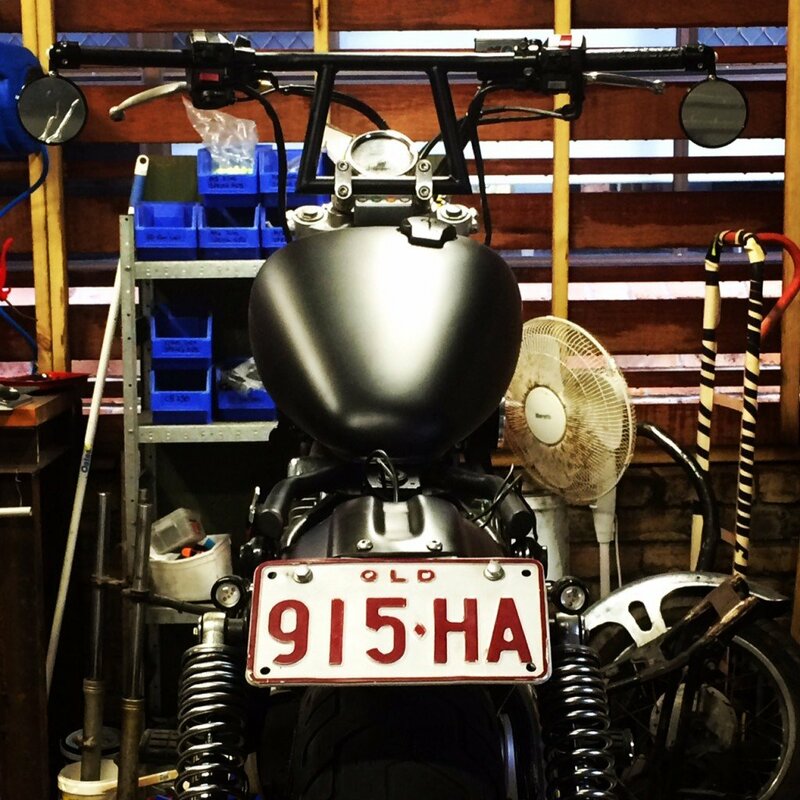 After riding t around for a while and growing to love it he decided to bring it in for some much needed TLC. 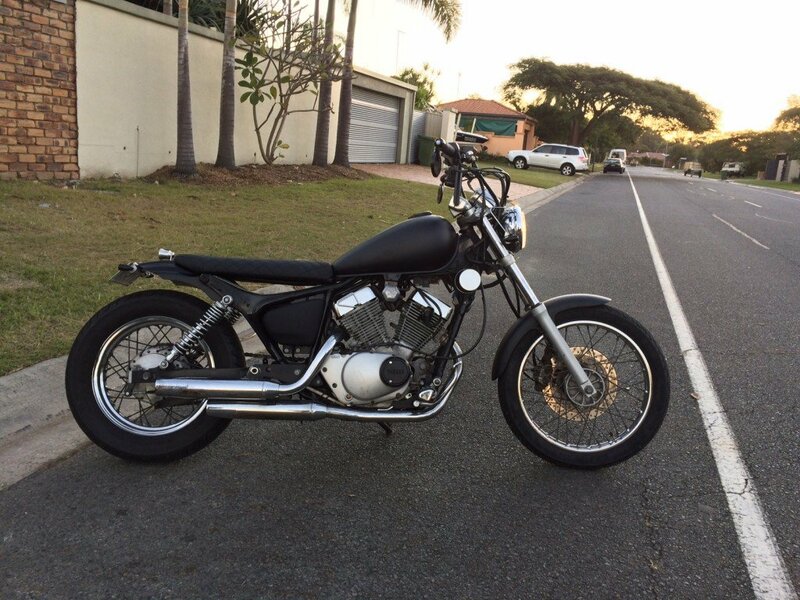 New paint, a custom lifted sub frame and black diamond stitch seat were all on the list for the build. 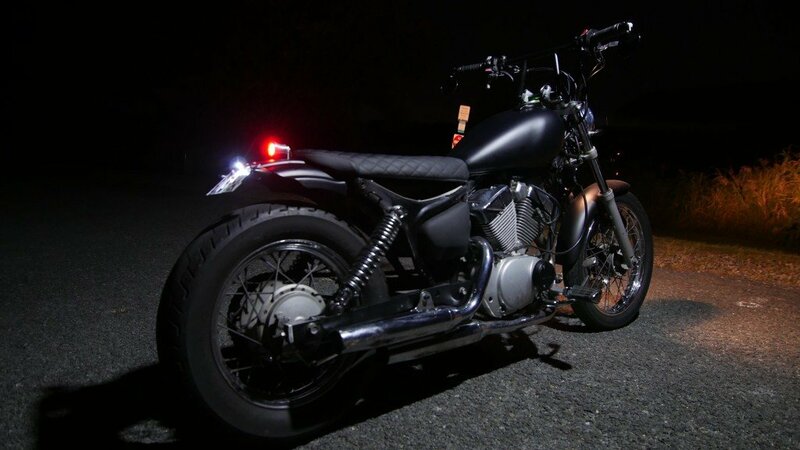 I fabricated some lane splitter handlebars to finish the Virago off and wired in some new LED lights to dress it up a little before putting it back on the road.